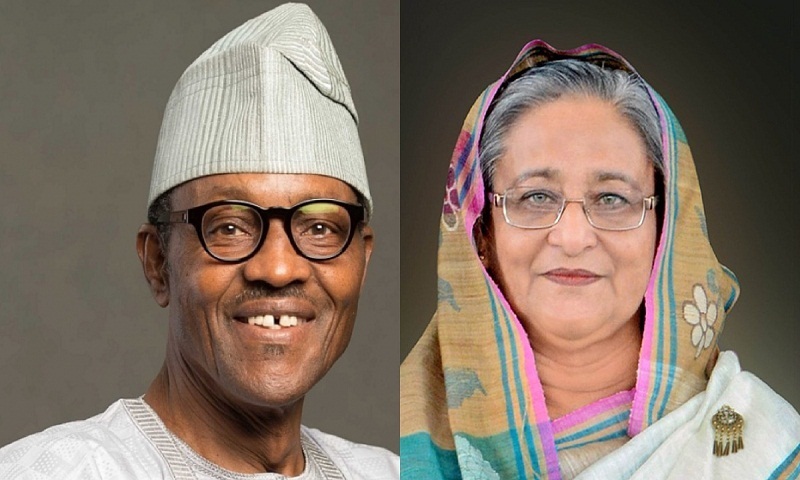 Nigerian President Mohammadu Buhari has congratulated Sheikh Hasina on her re-election for the fourth term as the Prime Minister following her party’s landslide victory in the just concluded parliamentary elections. “Your Excellency and your party’s historic landslide victory in the elections is a testimony to the excellent leadership style and commitment to the interest of the citizens, as well as the progress recorded during your previous stewardships,” the President of the Federal Republic of Nigeria said in a congratulatory message. Buhari said it is also a definite expression of trust and confidence in your able leadership by the people of Bangladesh. “I don’t have doubt that with your exemplary and visionary leadership Bangladesh will maintain its fast growth and development traction which would continue to impact positively on her friendly people,” he added, reports UNB. In the message, the Nigerian President reaffirmed Nigeria’s avowed commitment to robust engagements as an active partner in the two countries’ joint march to prosperity, according to the Ministry of Foreign Affairs here. “I look forward to further strengthening the existing cordial relations at all fronts between our two friendly countries in the coming days,” Buhari said.